In the current study, published in the Proceedings of the National Academy of Sciences, Bavelier and her team first used a pattern discrimination task to compare action video game players’ visual performance with that of individuals who do not play action video games. The action-gamers outperformed the non-action gamers. The key to the action-gamers success, the researchers found, was that their brains used a better template for the task at hand. Then, the team conducted another experiment to determine if habitual players of fast-paced, action-rich video games may be endowed with better templates independently of their game play, or if the action game play lead them to have better templates. Individuals with little video game experience were recruited, and as part of the experiment, they were asked to play video games for 50 hours over the course of nine weeks. One group played action video games, e.g., Call of Duty. The second group played 50 hours of non-action video games, such as The Sims. The trainees were tested on a pattern discrimination task before and after the video game “training.” The test showed that the action video games players improved their templates, compared to the control group who played the non-action video games. The authors then turned to neural modeling to investigate how action video games may foster better templates. 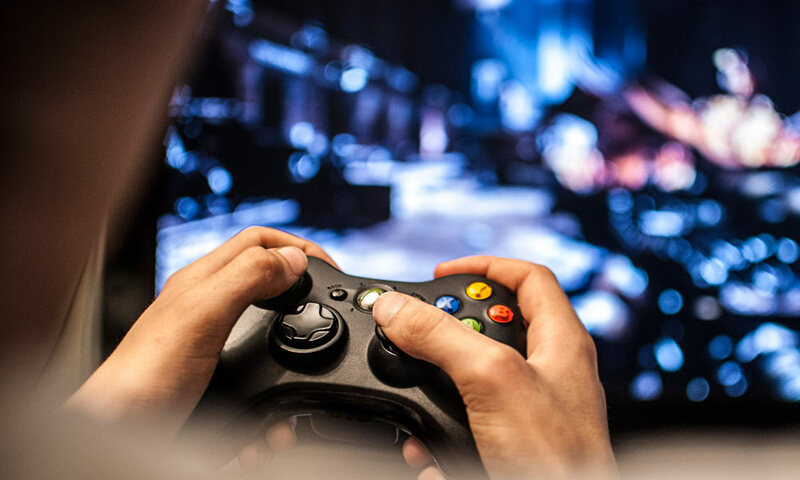 When the researchers gave action gamers a perceptual learning task, the team found that the action video game players were able to build and fine tune templates quicker than non-action game control participants. And they did so on the fly as they engaged in the task. Being a better learner means developing the right templates faster and thus better performance. And playing action video games, the research team found boosts that process. The researchers also found that the action gamers’ improved performance is a lasting effect. When tested several months to a year later, the action-trained participants still outperformed the other participants, suggesting that they retained their ability to build better templates. Vikranth R. Bejjanki of the University of Rochester and Princeton University, and Ruyuan Zhang of the University of Rochester are co-lead authors of the study. In addition to Bavelier and the lead authors, researchers from the University of Geneva, University of Wisconsin-Madison, and Ohio State University also contributed to the study. The Office of Naval Research, the Swiss National Foundation, The Human Frontier Science Program, and the National Eye Institute supported the research.